Assassin's Creed III is the fifth home console release in the Assassin's Creed franchise developed and published by Ubisoft. 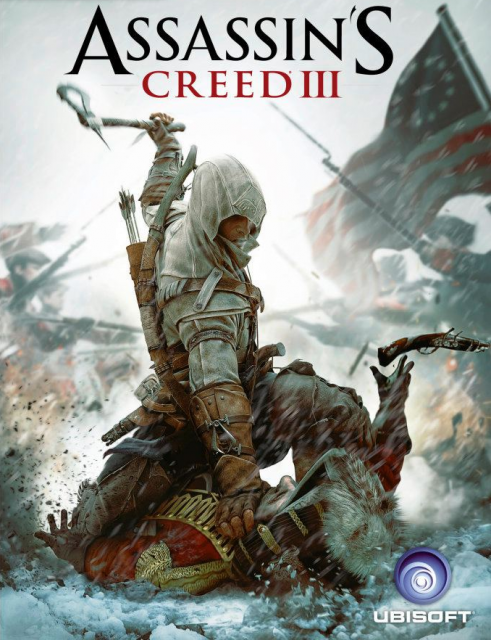 It features a brand new playable character (Connor Kenway) in a brand new time period and environment (North America during the American Revolutionary war). It's also the conclusion of Desmond Mile's story. The game also features multiplayer and Uplay connectivity. The game was released on October 30th, 2012 on all major consoles (PC and Wii U versions were released a month later), receiving critical acclaim. Combat makes up a large part of the gameplay. Assassin's Creed 3 is a third-person action game with elements of parkour and stealth. The game focuses on sneaking around as well as combat. The player spends most of the game playing as Connor, an able bodied assassin who's skilled with tomahawks, his bow, as well as the assassins' signature weapons, the hidden blades. The game's combat works around a three button system where players can choose to either counter an enemy, strike an enemy, or break the defense of an enemy. Combos and counters are different depending on the weapon wielded by Connor. Aiming and shooting with a gun or the bow is handled through both auto aim and the manual aiming depending on the situation. Many of Connor's attacks are also context sensitive. For example, with the series' iconic hidden blade, Connor will discretely stab an enemy when in stealth, leap in the air to stab an enemy to the ground while running, or perform a variety of slashes while in open combat. Much like other games in the series, AC 3 gives players the ability to sneak their way around the environment. Connor can hide in a variety of places such as hay bales, bushes, or crowds. Open doors and windows make for speedy escapes through buildings, while the new rope dart lets players reel enemies in from a distance. Enemy awareness is indicated via a cone over their heads that progressively fills as long as Connor is visible. The more Connor provokes the enemy factions by killing their troops, the more wanted he'll become. This means that, if pushed far enough, enemy troops will attack Connor on sight. Wanted levels can be decreased by bribing town criers, tearing down wanted posters, or paying to stop the production of wanted posters altogether. When the enemy is in pursuit, Connor must become incognito by hiding, or escape the area entirely. AC 3 introduces naval gameplay where Connor serves as the captain of a ship waging war off the coast of colonial America, or in the Caribbean. Sailing is done according to wind currents which dictate how fast the Connor's ship goes. Connor can choose how much the sails on the ship are unfurled. Going full sail increases speed while going half sail lowers speed but increases maneuverability. Combat is fought using the ship's cannons and swivel guns. The cannons allow for high damage along the broadside of the ship, but cannot be aimed independently of the ship's orientation.The swivel guns can be aimed freely but do not do enough damage to harm larger ships unless a weak spot is exposed. The ship can be upgraded with increased firepower, different types of ammo, more health, and more. Assassin's Creed 3 introduces new environmental hazards in the form of wildlife. Most of the wildlife consists of hare, raccoon, deer, and other harmless hunting targets. However bears, wolves, and other predators stalk the frontier. The game offers hunting gameplay where Connor is encouraged to skin and gut all the different kinds of animals in the different hunting areas (skinning animations are entirely skippable). Hunting makes up for a large part of the game. Players can set up snares and bait animals. The quality and type of bounty is determined by the way in which the animal is killed, with snares and the hidden blade providing the most intact, and lucrative reward. Rewards from hunting can be sold, or used for crafting on the Homestead. Connor is much more mobile than previous Assassin's Creed protagonists. In addition to standard city parkour, Connor is able to climb up trees, jump across branches, and scale rocky cliffs. The environment changes as time progresses both in gameplay, and in the story. Snow can blanket the ground during winter months, while a dynamic weather system can cause rain at any time.. Synchronization points are also present in the game, usually represented as the tallest building in a district or the tallest tree in an area. Finding a synchronization point reveals all hidden objects on the map in that area. AC 3 is set in two major cities: Boston and New York. Each city is initially under Templar control. Districts of the city can be liberated by completing side missions such as killing Templar targets or putting down rabid disease spreading dogs. Once Connor has completed all of these side missions in a district, a Liberation Contract is unlocked. These missions introduce Connor to new Assassin Recruits for his guild and give him new recruit abilities to make use of. The assassin's guild system makes a return, giving Connor access to a variety of assassin recruits that he can command. The recruits can be commanded to perform a multitide of tasks. Connor can command them to assassinate a target, either up close or from afar. They can dress up as Redcoats with Connor as their prisoner to allow him to infiltrate heavily guarded areas. They can start riots to distract guards, and much more. Connor can also send his assassin recruits on their own missions. Completing missions rewards the recruits with experience to rank up to improve their skills and equipment. Completing missions also rewards Connor with money and items for crafting and trade. The Homestead is Connor's main base of operations. From there he can perform a variety of helpful actions. Connor can conduct crafting and trade to increase his income, or gain access special weapons and upgrades. He can complete Homestead missions to attract new craftsman to his land, and improve the variety of items they can create. The Homestead acts as Connor's armory, allowing him to change his wardrobe and weapon choices. The Homestead also acts a repository for all of the trophies that Connor receives for completing various tasks and can be viewed by walking around his house and interacting with them. Hidden objects such as feathers make a return in the game as well as chests which must be lock picked via a minigame. 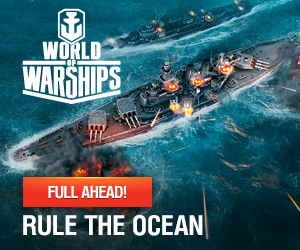 There are also a few new collectibles. Pages of Benjamin Franklin's Almanac are floating around both New York and Boston. As Connor collects these pages, he unlocks new recipes for a selection of colonial era inventions for decoration at the Homestead. Peg Leg trinkets are scattered throughout the colonies and can be exchanged for information on the location of buried treasure. The series' habit of incorporating historical figures into their story-lines returns with full strength, as George Washington, General Charles Lee, Benjamin Franklin and more are involved in the plot of the game. Throughout the course of the story, players also play as a young Connor, series protagonist Desmond Miles, and Connor's father Haytham. Assassin's Creed III begins where Assassin's Creed: Revelations left off as Desmond and the other Assassins locate the temple hinted at in the ending of the earlier game. Once inside, Desmond is sent back in the Animus to continue his training and to attempt to locate some answers as to the temple's mysteries. The Animus puts him in the shoes of Haytham Kenway, a London-based assassin, in the year 1753. After acquiring a mysterious amulet through assassination, Haytham is tasked with locating a First Civilization ruin in the American colonies. After an eventful boatride, Haytham arrives in Boston, where he is greeted by Charles Lee, an officer under General Braddock of the British army. Haytham is revered by Charles, who one day hopes to join the order to which Haytham belongs. Following a list he was given back in England, Haytham locates and brings together several like-minded individuals and begins his search for the ruins of the First Civilization by befriending native tribes. Haytham learns that a native tribe, the Mohawk, have been oppressed by a slaver. As a gesture of good faith, Haytham rescues several enslaved natives and kills the slaver. This brings him into contact with a native woman named Kaniehti:io (Ziio), who he uses as a primary conduit with the natives in the region. Haytham learns that General Braddock has been planning to drive Ziio's people away and forms a plan to ambush Braddock as he leads an expedition against the French. Allied with several native tribes, Haytham leads the assault and personally executes Braddock. This is sufficient to gain Ziio's trust, and she takes him to their only known First Civilization ruin. Haytham attempts to gain access to the ruin using the amulet, but is unable to do so. Distraught, Haytham and Ziio share a passionate moment in the temple. Following this, Haytham calls a meeting with all the men he had recruited and begins an induction ceremony for Charles. It is at this point that it is revealed that Haytham is in fact a Templar, and not an assassin as previously assumed. The Animus then focuses on Ziio, who is revealed to have been carrying Haytham's child. She names the boy Ratonhnhaketon. Then the game changes to the perspective of Ratonhnhaketon as he is going to play with his friends. As he is playing hide and seek with his friends he is grabbed from his hiding place by Charles Lee who talks and then Ratonhnhaketon asks Charles Lee "What is your name?" he replies with "Charles Lee, why?" then Ratonhnhaketon says "So I can find you" he is then knocked out. He then awakes and returns to his village to find that it is on fire he goes through the village to find his mother trapped in the fire and tries to save her she then tells him to go and says that she will always be with him. He is pulled out of the fire as the roof collapses, then time jumps a few years and Ratonhnhaketon is now a teen and out teaching his friend to hunt and climb trees. After Ratonhnhaketon teaches his friend how to hunt they split up and try to collect food for the village, after a while he goes looking for his friend, Ratonhnhaketon sees him run past and then see a bear chasing him. After dodging the attack from the bear Ratonhnhaketon returns to the village and then is involved in a ritual where he is handed the Apple of Eden and is spoken to by Juno and told to go and find a man to help him train to be an assassin, Achilles Davenport. Achilles is an old member of the Assassin's and master swordsman. Reluctant to train Ratonhnhaketon at first, he ends up revealing what the assassin order really is and begins teaching him, after renaming him Connor for practical reasons (it's revealed at the end of the game that Connor was the name of Achilles's son who died at the age of seven). It's revealed to Connor that the Templar order has become organized in the region, lead by Haytham and his second in command Charles Lee. Connor begins killing the Templars, working his way up the ladder. He ends up teaming up with the rebels and becomes a key figure in the American Revolution (for example, he dumps the tea into the bay during the Boston Tea Party). He earns the trust of certain key figures such as George Washington (saving the Commander from an assassination plotted by Charles Lee) and is there for the signing of the Declaration of Independence. At the same time back in the present, Desmond travels the world ( NYC, Brazil, Italy) to find power sources to open the door behind which all the answers are hidden. The key to said door is held by Haytham in the 18th century and Desmond needs to figure out where it's hidden in the 21st century. Desmond's father is captured Warren Vidic during one of the missions and is held hostage at the Abstergo headquarters. Desmond frees his father thanks to the Apple and proceeds to make everyone at Abstergo commit suicide (thanks to the Apple), thus getting rid of Abstergo once and for all. Back in the Animus, Connor ends up having to team up with his father when a target is both a liability for the Templars and the Assassins. Kenway begins to bond with Connor and it's revealed that it wasn't the Templars and Charles Lee who killed Connor's mother but George Washington who ordered the strike on Connor's village in an effort to keep the Natives from cooperating with the British. Connor thus severs ties with both George Washington and his father, concentrating solely on finding and killing Lee, despite a dying Achilles warning him that his father is not a non issue. Connor hatches an elaborate scheme to find and kill Lee by shelling New York. After making it inside of Lee's compound, Connor finds his father, who had warned Lee of Connor's arrival. Connor has no choice but to kill Kenway who admits that despite their differences, he's still proud of his son. Kenway did not have the key that Desmond was looking for, having given it to Lee. Connor eventually hunts down Lee several weeks later and after a chase that both brutally injures Lee and Connor, the assassin kills the Templar and gets the key. Connor is then visited by Juno who tells hime to hide the key somewhere where it couldn't be found. He hides it where Achilles is buried, allowing Desmond to find it. In the present, Desmond succeeds to unlocking the door and is faced with a sphere and Juno. Juno claims that all that he must do to save the earth is to touch the sphere. Minerva intervenes, claiming that Juno has been scheming all along and that by touching the sphere he'll release Juno onto the world for her to rule over mankind. Minerva goes on to saying that the incoming solar flare will kill most but not all of mankind and that they'll be able to rebuild. Exasperated, Juno reveals that this will only lead to a new cycle for humanity, as Desmond will become a sort of Christ figure among men ultimately leading to religious oppression for all of mankind. Desmond decides to side with Juno, stating that the loss of life is too large to seriously consider Minerva's plan. He touches the sphere, which instantly kills him. Humanity is protected by the solar flare and Juno goes on to rule humanity. 2 Single Player DLC titled "Ghost of War" and "Lost Mayan Ruins"
Single Player DLC "Ghost of War"
The Wii U version of the game, adapted by a dedicated team within Ubisoft Quebec, contains some exclusive features. Naturally, the game supports Off-TV Play but when the game is played on a regular TV, the controller's screen is used as a map with partially touch-enabled UI and displays key HUD elements such as health and selected weapons which in turn keeps the TV screen completely free of any UI elements save for status pop-ups. Like in other versions of the game, the map shows feathers, posters, as well as the location of fast travel markers and objectives but it shows a much larger area making it easier to plan a route without calling up the full map screen. The Wii U version has a 3D option which also applies to when the game is being played on the gamepad. On the gamepad, the game can be played in 3D by using magenta tinted glasses or by simply using your eyes, in which case the image is split in two. Like for the 3DS, the level of 3D can be set in the options menu (1 being the minimum amount of 3D, 10 being the maximum amount). Assassin's Creed III downloadable content will contain five content packs including "The Tyranny of King Washington", an all-new single-player campaign told through three episodic content packs that let gamers explore an alternate history of the events following the American Revolution. It was previously thought that this post game storyline would be non-canon since it diverges from actual history. However, Ubisoft have said the storyline is canon and will make itself clear how that can be once players have played the entire three parts of the storyline. Ubisoft has announced a Season Pass for ACIII, which grants access to all five upcoming downloadable content packs. At $30, it offers a 25% savings over the individual pack prices, and grants early access to the first DLC pack one week before other gamers. The third pack is part 1 of the King Washington story arc titled The Infamy. It takes place only on the Frontier. Taking place after the end of the main campaign of Assassin's Creed III, George Washington has gotten a hold of an Apple of Eden. Our hero then awakens in a world where he has never joined the Assassins and instead remained with his tribe (Thus he was never given the name of Connor is only referred to as Ratonhnhaké:ton). He remembers the events of his life with the Assassins but when he brings up events that occurred no one else seems to remember these events. What's more he is awakened by his mother (Kaniehti:io) who shouldn't be alive. Kaniehti:io tells him that George Washington has proclaimed himself king (which Ratonhnhaké:ton refuses to believe) and claims that she had a chance to stop him but failed. She leads him to Lexington and Concord where Washington has attacked and encounter Washington who claims he is going to attack their village. Ratonhnhaké:ton and Kaniehti:io race back to their village but not before meeting fellow tribes-people. They encourage Ratonhnhaké:ton to drink the Tea of the Red Willow tree in order to gain the strength to defeat Washington. However, his mother forbids it explaining that while it does give the person who drinks it special abilities, it has severe downsides as well. Upon returning to the village, Kaniehti:io argues with the village elder for her belief in the Tea, but the village elder remains steadfast in her belief that the tea is the only way to defeat Washington. Instead, Kaniehti:io gives Ratonhnhaké:ton the hidden blade, but Ratonhnhaké:ton already knows what it is which Kaniehti:io doesn't understand why that is. Just then Washington, along with his generals Israel Putnam and Benedict Arnold, attack the village. Kaniehti:io tries to stop him but Washington kills her with a specter made from the Apple of Eden. Ratonhnhaké:ton then tries but can't damage him due to the Apple of Eden and then Washington damages him and shoots him several times with guns to make sure he is dead. However, Ratonhnhaké:ton wakes up five months later in a cave with the surviving members of his clan including the village elder. The village elder demands Ratonhnhaké:ton climb the Red Willow tree and make the tea. He begrudgingly decides to do this because he wants to know why these events are happening. Drinking the tea, Ratonhnhaké:ton goes on a vision quest (the Animus effect to the player). After this vision quest he now has the ability to turn invisible for a certain period of time and summon wolves to attack enemies. He then rescues some more of his tribe but this proves to be a distraction as when he returns to the cave he finds his whole tribe dead including the village elder. With her dying wish, she wishes Ratonhnhaké:ton to murder Washington, Putnam and Arnold. He tracks Putnam to Valley Forge, then trails him to Arnold's hideout. He then proceeds to kill Arnold. With his dying words, Arnold says he has no idea what he was doing and that he was under Washington's control. Ratonhnhaké:ton says he knew what he was doing at West Point, but Arnold says he has never been to West Point. He then says that Ratonhnhaké:ton should rescue the jailed Benjamin Franklin in Boston but before Ratonhnhaké:ton can come to, Putnam hits him on the head with a pistol knocking him out. When Ratonhnhaké:ton comes to, he is in the back of Putnam's carriage headed for Boston. However, Putnam claims that he will soon take Boston on his own and he will present Ratonhnhaké:ton's head to Washington as a victory trophy. The fourth pack will be part 2 of the King Washington story arc titled The Betrayal. It will be available on March 19th. It will take place only in Boston. The final pack will also be the final part of the King Washington story arc titled The Redemption. It will be available on April 23rd. Power of the Wolf – Adopt the master camouflage of the wolf, rendering Ratonhnhaké:ton undetectable. Power of the Eagle – Delivers a burst of speed, empowering Ratonhnhaké:ton with blinding agility. Power of the Bear – Fills Ratonhnhaké:ton with the strength and fury of the mighty bear. Warpaint – A symbol of power and courage enhancing Ratonhnhaké:ton’s abilities. Assassin's Creed III's development started immediately after Assassin's Creed II by a separate team that did not work on Brotherhood or Revelations. In late February 2012 various pieces of art and promotional material started to pop up on the internet depicting an assassin wielding Native American weapons seemingly in the middle of the American Revolutionary War. Ubisoft subsequently released the cover art for the game, set up a teaser website, and a few days later released an official trailer. The PS3 gets an exclusive four-mission arc that weaves the story of Benedict Arnold into the Assassin's Creed universe. It begins with General Washington hearing of a rumor of turncoats overthrowing West Point, a critical fort that controls supply lines to the Colonies. He asks Connor to infiltrate Benedict Arnold's loyalist network and flush out spies, and put a stop to the planned attack on West Point. Who was there, what they did, and what happened to them is as precise as the history books would allow. The soundtrack was composed by Lorne Balfe, and was released by Ubisoft Music on October 30, 2012. E3 2012: What's Different About AC3 on Wii U?